At last there seems to be some progress on the plan to put a segregated cycle route down Dublin’s quays. Okay, it will cost at least €20m but it will run on both sides of the river and all could be in place by the end of 2021. As somebody who both motors and cycles down the quays at least a couple of times every week, it seems a good compromise. Buses and cars will still have their place on the quays but cyclists will have extra protection, although going eastward the cycle lane switches from one side of the quays to the other which seems a bit tricky. There have been so many accidents, quite a few fatal, involving cyclists along the quays in the past that something has to be done, especially as more and more people are taking to two wheels. The rise in electric scooters, skateboards and the like must also be factored in during the planning stage, even though, at the moment, their use is illegal. The British government is facing reality and beginning to enact legislation to control their use on roads and footpaths and the same must be done here. It was never practical to take motorists off the quays entirely and a number of proposals over the years which involved diversion around Stoneybatter and the like just added to the confusion and the angst among drivers. I only hope the latest plan integrates with the BusConnects ideas as well or we could have some awful bottlenecks. Too often our planners don’t seem to be talking to each other. 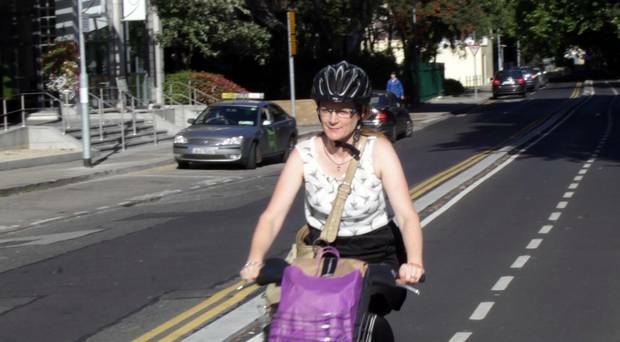 That the latest cycle route has been selected by the National Transport Authority rather than Dublin City Council is a more hopeful sign. The failure of the city council to select a route over the last five years was an atrocious waste of time and money. Let’s hope that in a few years’ time we will have something of which we all can be proud.